There is no “next train” for the abandoned station in the village of Capron. 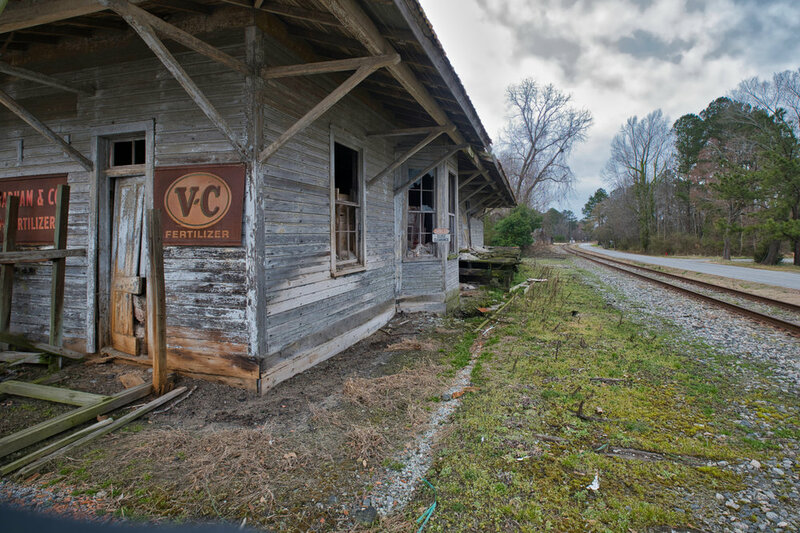 Once a vital link between the coast in Portsmouth, Virginia and Danville linking several smaller towns and villages, the Atlantic and Danville RR opened in 1892 after it was begun in 1890. The company went bankrupt in 1960 and was purchased by the Norfolk and Western Railway in 1962. The N&W created a new subsidiary, the Norfolk, Franklin and Danville Railway, to operate the A&D line. That one is gone as well. Now decaying buildings and rusting tracks mark the time of another era.